The 1st annual McMaster Optimization Conference: Theory and Applications (MOPTA 01) will be held at the campus of McMaster University in Hamilton, Ontario, Canada, August 2-4, 2001. The conference is sponsored by McMaster University's Faculty of Engineering, The Fields Institute, IBM Canada, and Materials and Manufacturing Ontario, and as part of the latter's Special Year on Numerical and Computational Challenges in Science and Engineering. The conference will be hosted by the Advanced Optimization Lab at the Department of Computing and Software. The conference is planned as an annual event aiming to bring together a diverse group of people from both discrete and continuous optimization, working on both theoretical and applied aspects. The format will consist of a small number of invited talks from distinguished speakers and a set of selected contributed talks, spread over three days. Our target is to present a diverse set of exciting new developments from different optimization areas while at the same time providing a setting which will allow increased interaction among the participants. We aim to bring together researchers from both the theoretical and applied communities who do not usually get the chance to interact in the framework of a medium-scale event. Contributions are solicited for presentation at the conference. Each accepted paper will be alloted a 25 minute talk. A volume with the abstracts of the invited and contributed talks will be distributed to all conference attendants. This conference concerns research on the use, design and analysis of efficient optimization algorithms. Both theoretical and computational studies are welcome. Typical, but not exclusive, topics of interest include: interior point methods for linear and nonlinear optimization; semidefinite optimization; engineering applications; sensitivity analysis; quadratic optimization; linear complementarity problems; nonlinear optimization; integer and combinatorial optimization; approximation algorithms; graph and network algorithms; network flows; scheduling theory and algorithms. The *UPDATED*Preliminary Program is now available in (also available in PDF format). Deadline for abstract submission: April 30, 2001. Notification of acceptance / Program available: May 31, 2001. Deadline for early registration: June 30, 2001. Conference begins on August 2 at 7:30 a.m. and ends August 4 at 6:00 p.m., 2001. The Preliminary Program is now available in (also available in PDF format). 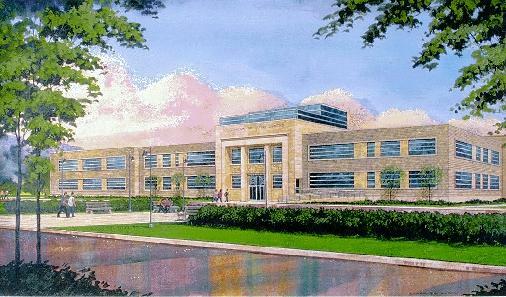 The conference will take place at the new home of the Department of Computing and Software, at McMaster University, which is pictured above. The building is currently undergoing a massive renovation and will also house the newly established Advanced Optimization Lab of the department. Hamilton is conveniently located in the heart of Southeastern Ontario, one of Canada's most prosperous areas. The Great Lakes and the Niagara region are within easy drives. The flight possibilities are excellent. The McMaster campus is a 45-minute drive from Toronto's Pearson International Airport. Hamilton is also served by its own international airport with regular US service from Pittsburgh. Airways Transit provides usually reliable door-to-door shuttle service from the airports. A special conference rate of $32/person from Pearson Airport has been negotiated with Airways Transit, so please be sure to mention "MOPTA" when making your reservation. If you are driving, follow these directions up to the campus entrance and then use the campus map. The conference building is T-16. See here for current Hamilton weather. The deadline for early registration is June 30, 2001. Please use on-line registration form to take advantage of the early registration fee of $75 CDN or $50 USD. Special conference rates have been negotiated at several local hotels. When making your reservation, please mention that you are attending a conference at McMaster University in order to obtain the special rate. Please note that this is a long weekend in Ontario, so please be sure too book your rooms EARLY! Workshop on Novel Approaches to Hard Discrete Optimization at University of Waterloo, April 26-28, 2001. This event is also sponsored by the Fields Institute.